Mexico: Researcher Dr. Eva Ramón Gallegos has found a cure for Human Papilloma Virus (HPV) using photodynamic therapy, a treatment that uses photosensitizing drugs along with light to kill cancer cells and pathogenic cells. HPV, the main cause behind cervical cancer, is reported to be the second leading cause of death among Mexican women. Dr. Gallegos’ photodynamic therapy to eradicate HPV is a financial threat to Merck, the pharmaceutical giant that manufactures the Gardasil vaccine. In 2018, Merck made $3.15 billion from its Gardasil vaccine for HPV, and they are now offering it in China, so profits are set to skyrocket. Last year, an article by Goldman Sachs in a biotech research report considered whether curing patients was a sustainable business model. The investment firm prioritized the stability of the franchise over people’s health and strategized which illnesses would be the most lucrative to treat. 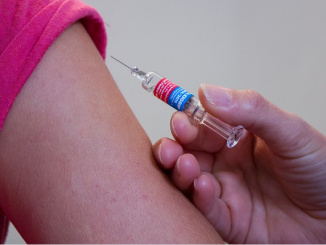 News sources from Mexico are reporting that a researcher from National Polytecnic Institute has developed a cure for the Human Papilloma Virus (HPV). Using photodynamic therapy, Dr. Eva Ramón Gallegos has been able to completely eradicate HPV in 29 patients. She has studied the effects of photodynamic therapy for 20 years, and has reportedly treated 420 patients with the therapy. As a non-invasive procedure, it is said to be an effective method to prevent malignant neoplasm, which is the second leading cause of death among Mexican women. besides eradicating HPV, the main cause behind cervical cancer, photodynamic therapy is also used to eliminate premalignant lesions of cervical cancer in its first stages. While this is good news for those suffering from HPV, the chances that this therapy will become available in the U.S. are slim to none. More than likely, this will become another therapy that is effective in treatment, but banned by the FDA. The FDA, funded in great part by licensing fees from pharmaceutical companies, does not have a good track record in allowing any kind of natural cures that threaten pharmaceutical products, particularly natural cancer cures. If anything, this discovery may increase the amount of “medical tourism” to Mexico, where many people flock to receive non-FDA approved treatments every year, especially for cancer. Dr. Gallegos and her photodynamic therapy to eradicate HPV will, of course, become a huge financial threat to Merck, the pharmaceutical giant that manufactures the Gardasil vaccine, the world’s #1 HPV vaccine. 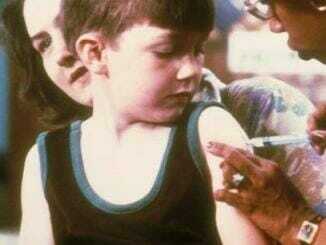 The US government published a paper in 1991 that confirms that the DTap vaccine, a combination shot for tetanus, diphtheria, and pertussis/whooping cough, is linked to microcephaly. That’s a condition in which the brain does not develop properly resulting in a smaller than normal head. 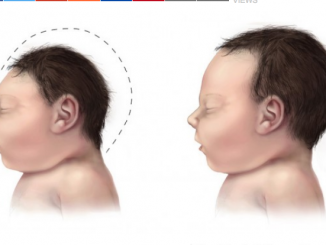 In recent years, it has been said that unusual numbers of microcephaly have been caused by the Zika virus, but this report says that it could be related to the DTap vaccine. Other conditions associated with this vaccine include brain damage in young children, heart problems, meningitis, and epilepsy. Six-thousand children have been ordered to stay home from school and away from public places. Those who violate the edict face a possible penalty of six-months in prison and/or a $500 fine. County officials say that they are not planning to actually arrest anyone – for now. Please provide link or citation to this statement. The universal energy which is not only uncovering the hidden darkness it is making them speak it with arrogance of course but waits for who agrees If evil is good or finally who acts against it?